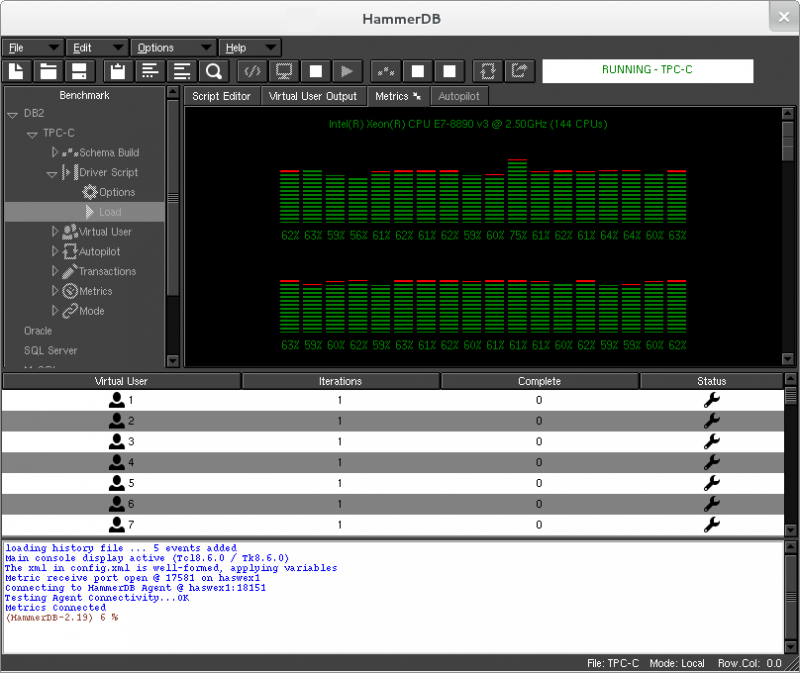 HammerDB is a graphical open source database load testing and benchmarking tool for Linux and Windows to test databases running on any operating system. HammerDB is automated, multi-threaded and extensible with dynamic scripting support. 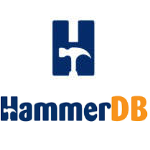 HammerDB supports Oracle, SQL Server, DB2, TimesTen, MySQL, MariaDB, PostgreSQL, Greenplum, Postgres Plus Advanced Server, Redis and Trafodion SQL on Hadoop. HammerDB includes complete built-in workloads based on industry standard TPC-C amd TPC-H benchmarks as well as capture and replay for the Oracle database. Support for MySQL was added as the most requested feature after the Oracle acquisition of the InnoDB storage engine. Interacts with the Oracle database using the OCI based Oratcl , MySQL with MySQLTCL (both share a common ancestor in Sybtcl) and web based environments using Tclwebtest. Support Microsfot SQL Server with an updated version of tclodbc and PostgreSQL with Pgtcl-ng. Convert real Oracle trace files and replay them back with multiple users using Oratcl. There are also pre-built simluations based on the TPC-C and TPC-H benchmark specifcations in order that there are multi-user workloads that you can begin to use straight away. HammerDB has been built and tested on the following 32 and 64 bit Linux and Windows platforms.